Mayor Chris Getty of Lyons doesn’t think things through very well. Granted, he got four of his henchmen elected to the Lyons Elementary School District 103 (Cook County, Illinois) board of education in April by funding their election from his own campaign war chest. It’s amazing what you can buy with $11,512 – a whole school district! So the henchmen were scheduled to be sworn in on May 4th according to Illinois School Code and District 103 school board policy. But Mayor Getty couldn’t wait – he had the village’s attorney “swear in” his henchmen as school board members (will the village of Lyons or School District 103 will be billed for attorney Odelson’s time?). Then Mayor Getty had his flunky assistant post a school board meeting agenda on the doors of District 103’s Administrative Building. The agenda announced a previously unscheduled school board meeting at 6 PM Thursday, April 30th in District 103’s Administrative Building. Nobody except Getty, his attorney, and the four henchmen recognized the legality of the agenda. Anticipating trouble (Getty’s goons are not known for their civility) the Admin Building was vacated early Thursday afternoon. According to eyewitness reports, at 6 PM Mayor Getty and about 50 of his followers showed up at the Administrative Building only to find the building closed. Imagine that – the building wasn’t open to host an illegal meeting! They were incensed! Mayor Getty spoke to his people about how unfair it was that his henchmen couldn’t meet (to fire the interim superintendents, hire Getty’s political friend as interim superintendent, fire the district’s law firm, and hire his village’s law firm). He was so incensed that he encouraged his followers to bombard the school board meeting on May 4th. So what did you expect, Mayor Getty? You ignore School Code and school board policy to schedule a meeting and expect to be welcomed there with open arms? Did you really expect the doors to be open, the seven existing board members to be in attendance, the board’s recording secretary ready to take minutes? You couldn’t wait four days till your henchmen were legally sworn in to start the patronage? Four days isn’t very long to wait, but it’s all the staff members in District 103 have under the district’s old philosophy – be of service to children. After Monday the philosophy changes – be of service to Mayor Getty. “… I was seated across from Bruce Rauner and I had no idea he was going to run for governor. And we began to have a heated discussion about charter schools because the Noble Network, which he is a part of, names schools for individual rich people so there’s a Bruce Rauner Charter School, there’s a Penny Pritzer Charter School… I don’t know of other rich people in Chicago but they all have their own names on charter schools. Ravitch is the pre-eminent historian of the American education system so I have no reason to doubt her recollection of the conversation. Rauner just had his buddy Anthony “Tony” Smith hired as the head of the Illinois State Board of Education. Smith was superintendent of the Oakland, CA school district but has never been a teacher or school-level administrator. While in Oakland Smith worked hard to increase the number of charter schools there. 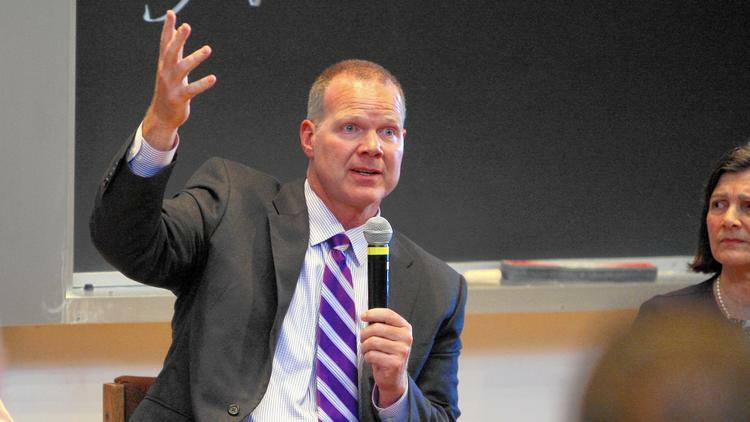 He’ll be the perfect state school chief to implement Rauner’s vision of charter schools in Illinois. The mayor of Lyons attempted a hostile takeover of the Lyons Elementary School District 103 today. Mayor Chris Getty (not to be confused with Ken Getty, his ex-felon, ex-mayor father) bankrolled four of his henchmen during the recent school board election. Now they’re trying to take over – illegally. Some background: I retired as superintendent from District 103 almost three years ago. 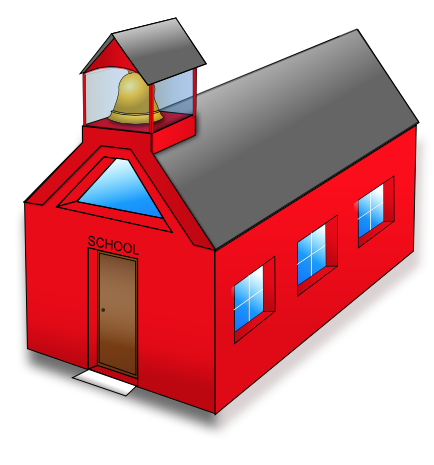 District 103 serves students in five communities – Lyons, Brookfield, McCook, Stickney and Forest View. Four years ago Mayor Getty of Lyons walked into our district office with petitions for five school board candidates. Thanks to the tireless door-to-door campaigning by the incumbent board members, only one of Getty’s candidates was elected. This year he again presented the district with five nominating petitions. Then Getty arranged for over $11,000 in donations from his United Citizens Party and Citizens for Christopher Getty to be transferred to his henchmen’s campaign coffers. It was reported that during their campaigning there were promises of jobs in District 103 to those who voted for the henchmen. On April 7th four of his henchmen won seats on the school board – Getty’s henchmen would have a majority of the seven school board seats. The first sign of trouble began last Wednesday when a woman walked into the district office and told the receptionist that she wanted to apply for the reception’s job. The woman inferred that Mr. Getty prompted her to apply. Moral in the district plummeted – no one knows if they are going to have a job after next week. Needless to say, none of Getty’s henchmen had ever been to a school board meeting before the election. According to State of Illinois law, the four were to be sworn in on May 4th. But Mayor Getty couldn’t wait that long. So on April 28th he had the village’s politically-connected lawyer Burt Odelson meet with his four henchmen. Nobody knows when and where they met when Odelson swore them in as school board members – contrary to state law and school board policy. Then, presumably, Getty and/or Odelson gave them a school board meeting agenda to approve. Aside from the fact that even calling themselves “board members” at that point was preposterous, didn’t someone care that agreeing on such an agenda would have been in violation of the Open Meetings Act? Getty hands the agenda to his flunky assistant Kyle Leonard to hand deliver it to the interim superintendent Patrick Patt (the superintendent announced her retirement at the end of March). Patt was told by the flunky, “Here, this is what you need to do.” Patt understood that as a direct order – post this agenda. Patt did not post the agenda, realizing that the four henchmen had no legal authority as board members (the Attorney General’s office agrees). Flunky Leonard came back to the district office after-hours and taped the agenda to the front door. He went over to the current school board president’s house and taped the agenda to her mail box. None of the other six current board members were informed about the meeting. Hire Kyle Hastings as interim superintendent (Hastings is mayor of Orland Hills and was ousted mid-year as superintendent of Bellwood. He’s a political buddy of Getty. Its unlikely that any of the newly-elected board members have even met Hastings, yet they are going to make him the superintendent). Fire the district’s legal firm of many years, Robbins-Swartz, which specializes in education law. Hire the law firm Odelson & Sterk (yes, the same Odelson as above) which specializes in municipal law. Nobody knows what will happen Thursday night when the four board member-elect henchmen show up at the district office to convene the illegal meeting. They may have to wait until May 4th to be legally seated. When they are the purpose of the board of education will no longer be to oversee the education of the 2,600 students in District 103. The purpose will be to hire whoever Mayor Getty wants and to buy goods and services from whoever Mayor Getty wants. That will only mean less for the children of District 103 and more for Mayor Getty. Some of the above information was obtained in Bob Uphues’ excellent article published in The Landmark. This past weekend I had the opportunity to attend the Network for Public Education’s (NPE) second annual conference in Chicago. It was like a revival meeting! Activists from across the U.S. were there to cheer each other on and to learn how others are supporting public education. When speakers got up to talk about the Opt-Out movement in New Jersey, hundreds of people got up and cheered. When Diane Ravitch pointed out the students who occupied the offices of their school superintendent to protest the onerous PARCC testing, the audience cheered and raised their fists in a show of support. “The Florida Department of Education refused to agree that no teacher should be evaluated on the results of a student they’ve never met.” Lily Eskelsen Garcia. PS – Sorry to all 31 of my loyal followers who have been sitting on the edge of their seats for the past few months waiting for my next post. 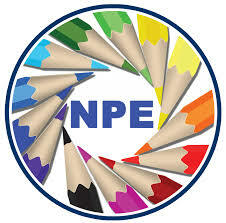 The NPE has re-energized me so look for more posts soon.